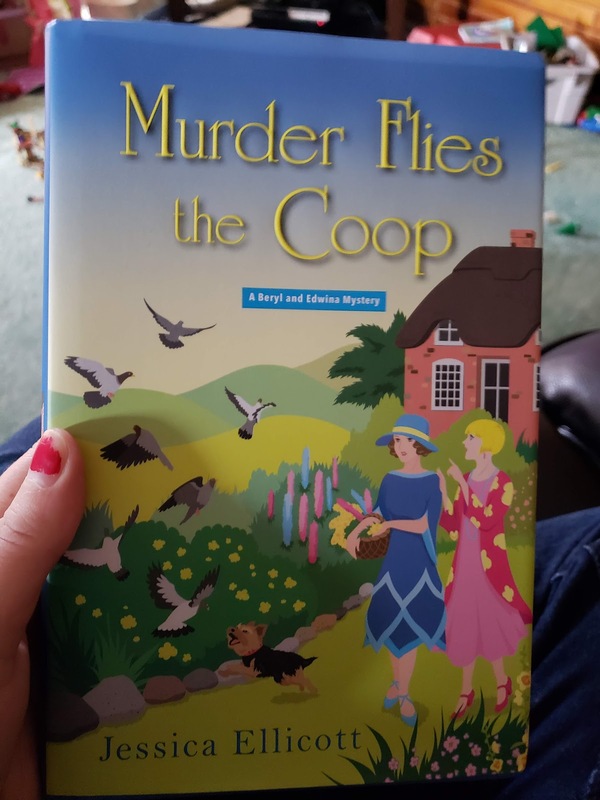 Reading: Murder Flies the Coop by Jessica Ellicott. 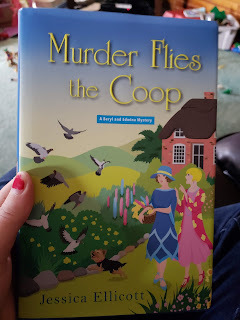 It’s a cute mystery about two single women in 1920s England. It’s the second in the series, and I didn’t read the first, but it hasn’t slowed me down. Love the feminism in it. Loving: how I am making progress on decluttering and organizing the house. I’m making a lot of progress on getting rid of clothes that are too small and going through old stuff that was saved and I have no idea why. I’ve also made a daily cleaning list that has helped immensely. I focus on different things 5 of the days of the week so on the weekend we can all spend time together and only a few smaller projects instead of having to do alllll the things on the weekend. It's been nice! Feeling: good. One of my health goals for September were to walk at least 3 days a week at least. So far I’ve done that at least. I think each week I’ve had 4 walks at least. Usually the 4th walk is a walk with one or two of my family members so it’s usually either shorter or not as fast as I go by myself. My hope is to try to start up the couch to 5k in October. But slow, very slow. I’m going to have to do some thinking on how I want to add that to my walking. Anticipating: our last camping trip of the year. We are going to one of our favorite spots, but we didn’t get the site we normally get. We are going with a few friends and kids and are planning on a chili cookoff on Saturday. I’m pretty excited. It should be cooler but I’m hoping cooler on the water doesn’t mean too cold so that the kids won’t be whiny since we can play in sand but probably no venturing into the water! Grateful: for the wonderful teacher we have for second grade! 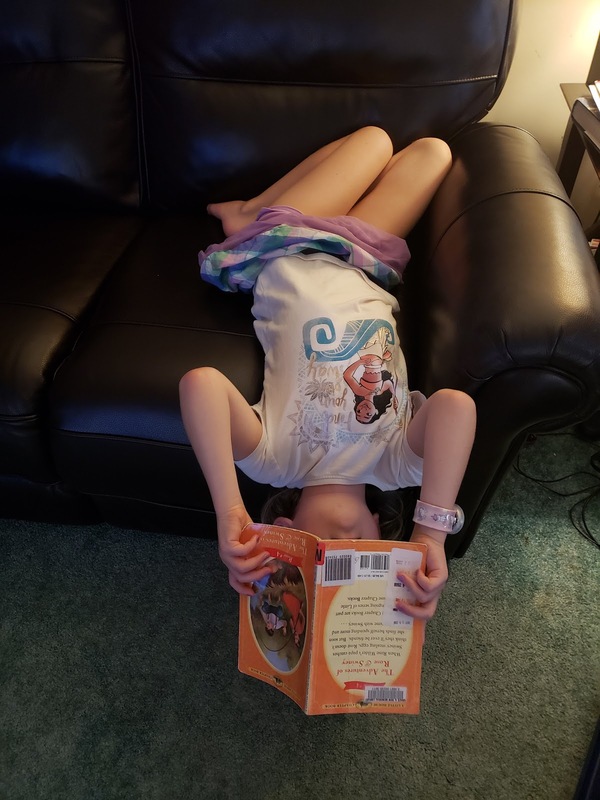 She generally cares for the kids and I love that she is into changing things up when she learns about new things even though she’s been teaching for 30 years. That is such dedication and I’m glad my kiddo is loving school, even when she is majorly exhausted and so attitudy at the end of the day. Working: on potentially getting a very part-time online teaching gig. I wasn’t going to search out opportunities but it came to me in an email and well, why not? Listening: to lots of podcasts. I’ve started listening to Hysteria which is an all female podcast and still trying to finish the second season of In the Dark. Wishing: for a warm fall full of adventures with my loved ones! What are you reading, anticipating, and grateful for?